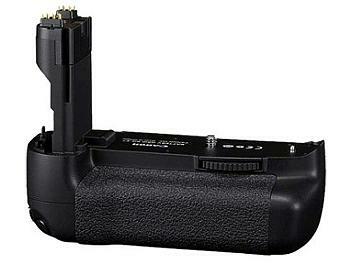 The Canon Battery Grip BG-E7 is an optional battery grip designed specifically for the Canon EOS 7D. It allows users to load a choice of one or two LP-E6 battery packs. Can be independently turned on or off as the photographer needs to enhance camera handling,especially for shooting vertical pictures. Shutter release, main dial, AF Point Selection, AF/FE Lock, Index, Aperture, Exposure Compensation Button and Reduce Button functions are all replicated on the grip, making operation of the camera more convenient when shooting in the portrait format.